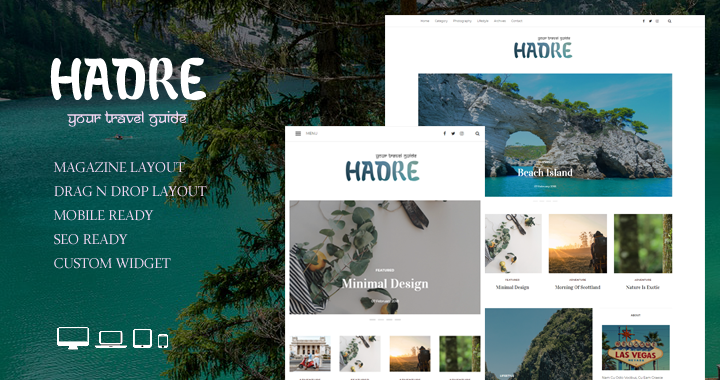 Hadre is a easy to use magazine blog loaded with some marvelous features like slider posts, featured posts and home posts. Masonry layout of the blog will give it modern finish and the custom widgets will make your work easy. Backend and frontend are perfectly integrated which allows you to change the color easily. Also we are committed to provide you fastest support by responding to your queries within 8 hours.